Andrej Razumovsky is a long way from home. A native Austrian whose family’s origin story recalls a 17th century Moldovan vineyard empire, Andrej arrived in Argentina in 2000. He travelled the country for nine months before settling in Mendoza, the country’s principal winemaking region. It was in Ugarteche, on 35 hectares of untouched land perched 950 metres above sea level, that he put down roots. Months on the road exposed Andrej to the ways modern industrial viticulture was impacting the Argentinian landscape. This is a landscape with immense potential. Too often, heavy pesticide, herbicide, and fertilizer use took a toll on soil quality, and fruit was compromised when the market pushed growers to pursue quantity over quality. To rehabilitate an intensively-farmed plot could take decades. By opting for virgin land with no trace of synthetic pesticide, herbicide, or fertilizer residue, Andrej had an opportunity to start from scratch. The well-drained alluvial soil here is rich in lime and mineral content, but low in organic matter. The semi-arid landscape in the foothills of the Andes, with its dry growing season and cool nights, is well-suited to an organic approach. Andrej is joined by Chilean winemaker Alvar Espinoza, one of South America’s foremost enologists. Alvar has an international reputation in the art and science of high-quality organic and biodynamic wine production, and has been a driving force with Alpamanta since its inception, touring vineyards with Andrej and his partners in the early days. He embraces the role of pioneer. Andrej and Alvar were keen to implement Rudolph Steiner’s principles of biodynamic systems, which are rooted in a long-term view of agriculture that treats the vineyard as a self-sustaining system and rewards intense attention to detail. 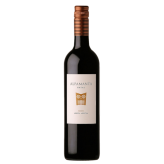 That attention to detail carries into the cellar; Alpamanta was the first winery in Argentina to ferment in cement tanks, a method that favours natural flavour development in the finished wine. Intervention is kept to a minimum, wine is fermented by native yeast, and minimal sulphites are introduced at bottling. The wines of Alpamanta are a perfect example of the complexity and verve that a biodynamic approach can yield. If this is the future of Argentinian wine, we couldn’t be more excited.